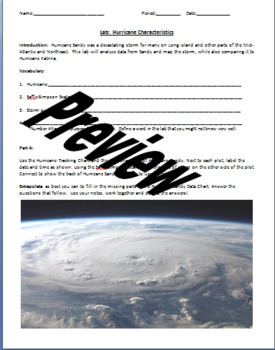 This 6 page lab activity will help students remember where hurricanes form and why. 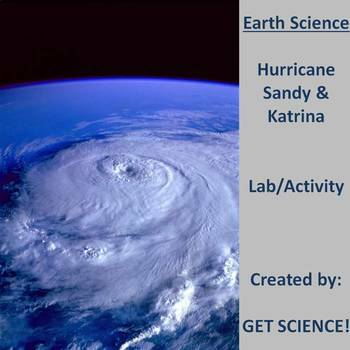 The lab explores the differences and similarities between Hurricane Sandy and Hurricane Katrina. Students will practice their skill of plotting using latitude and longitude as they plot the tracks of both. The Saffir-Simpson scale will be used as students analyze data from both storms. 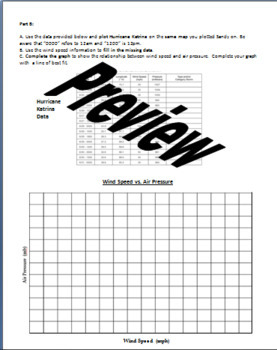 Students will plot pressure vs. wind speed to understand the relationship and answer questions based on the data and general hurricane knowledge. 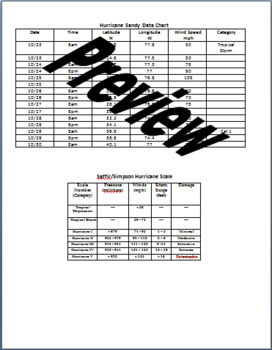 The lab can be edited and includes both a Hurricane Tracking Chart (provided free by www.NOAA.gov) and answer key. There are also 2 great YouTube videos included as a hook for the students, each one going through Hurricane Katrina and Sandy as it happened.